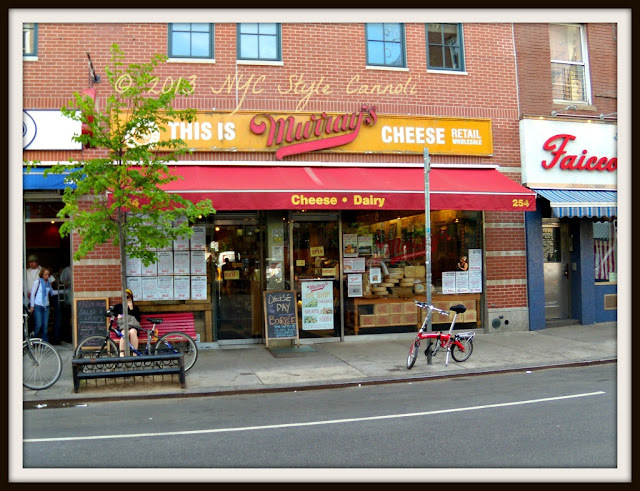 Photo Gallery Tuesday " Murray's Cheese"
Murray's Cheese Shop on Bleecker Street in the West Village is an institution. If you have never visited, be sure to have this on your list for your next visit. Founded by Murray Greenberg in 1940, they will ship cheese right to your front door! The monthly cheese club brings different selections to you each time, what a great idea !! They also have classes available, which is something unique to do if you feel you have done all the "touristy" stuff in the city. 3 doors down from the shop is their new restaurant called Murray's Cheese Bar and it is always highly reviewed. So, what is your favorite type of cheese? I like all the Italian ones, but of course, you probably already knew that! !